Senior Training takes place all summer during the season on TUESDAY and THURSDAY evenings, from 6pm until dusk. St Boswells 1st XI (sometimes known as “The Villagers”) play in Division 1 of the East of Scotland League, or East League. St Boswells “A” Team currently play in various friendly tournaments and matches throughout the year. There are also cup competitions including the Murgitroyd 20/20, the Borders 20/20 and the Border Sixes. New players are always welcome. 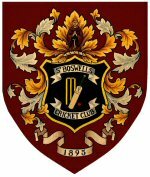 If you would like a game or just see if you are up to scratch then please come along to our training sessions on Tuesday and Thursday evenings at the club or contact secretary@stboswellscricketclub.org. All standards are welcome, and opportunities are available to play at a wide variety of levels depending on ability.